This article presents an emerging architectural hypothesis of the brain as a biological implementation of a Universal Learning Machine. I present a rough but complete architectural view of how the brain works under the universal learning hypothesis. I also contrast this new viewpoint - which comes from computational neuroscience and machine learning - with the older evolved modularity hypothesis popular in evolutionary psychology and the heuristics and biases literature. These two conceptions of the brain lead to very different predictions for the likely route to AGI, the value of neuroscience, the expected differences between AGI and humans, and thus any consequent safety issues and dependent strategies. Few discoveries are more irritating than those that expose the pedigree of ideas. Less Wrong is a site devoted to refining the art of human rationality, where rationality is based on an idealized conceptualization of how minds should or could work. Less Wrong and its founding sequences draws heavily on the heuristics and biases literature in cognitive psychology and related work in evolutionary psychology. More specifically the sequences build upon a specific cluster in the space of cognitive theories, which can be identified in particular with the highly influential "evolved modularity" perspective of Cosmides and Tooby. Evolutionary psychologists propose that the mind is made up of genetically influenced and domain-specific mental algorithms or computational modules, designed to solve specific evolutionary problems of the past. An evolutionary perspective leads one to view the mind as a crowded zoo of evolved, domain-specific programs. Each is functionally specialized for solving a different adaptive problem that arose during hominid evolutionary history, such as face recognition, foraging, mate choice, heart rate regulation, sleep management, or predator vigilance, and each is activated by a different set of cues from the environment. If you imagine these general theories or perspectives on the brain/mind as points in theory space, the evolved modularity cluster posits that much of the machinery of human mental algorithms is largely innate. General learning - if it exists at all - exists only in specific modules; in most modules learning is relegated to the role of adapting existing algorithms and acquiring data; the impact of the information environment is de-emphasized. In this view the brain is a complex messy cludge of evolved mechanisms. There is another viewpoint cluster, more popular in computational neuroscience (especially today), that is almost the exact opposite of the evolved modularity hypothesis. I will rebrand this viewpoint the "universal learner" hypothesis, aka the "one learning algorithm" hypothesis (the rebranding is justified mainly by the inclusion of some newer theories and evidence for the basal ganglia as a &apos;CPU&apos; which learns to control the cortex). The roots of the universal learning hypothesis can be traced back to Mountcastle&apos;s discovery of the simple uniform architecture of the cortex. The universal learning hypothesis proposes that all significant mental algorithms are learned; nothing is innate except for the learning and reward machinery itself (which is somewhat complicated, involving a number of systems and mechanisms), the initial rough architecture (equivalent to a prior over mindspace), and a small library of simple innate circuits (analogous to the operating system layer in a computer). In this view the mind (software) is distinct from the brain (hardware). The mind is a complex software system built out of a general learning mechanism. In simplification, the main difference between these viewpoints is the relative quantity of domain specific mental algorithmic information specified in the genome vs that acquired through general purpose learning during the organism&apos;s lifetime. Evolved modules vs learned modules. When you have two hypotheses or viewpoints that are almost complete opposites this is generally a sign that the field is in an early state of knowledge; further experiments typically are required to resolve the conflict. It has been about 25 years since Cosmides and Tooby began to popularize the evolved modularity hypothesis. A number of key neuroscience experiments have been performed since then which support the universal learning hypothesis (reviewed later in this article). Additional indirect support comes from the rapid unexpected success of Deep Learning, which is entirely based on building AI systems using simple universal learning algorithms (such as Stochastic Gradient Descent or other various approximate Bayesian methods) scaled up on fast parallel hardware (GPUs). Deep Learning techniques have quickly come to dominate most of the key AI benchmarks including vision, speech recognition, various natural language tasks, and now even ATARI  - proving that simple architectures (priors) combined with universal learning is a path (and perhaps the only viable path) to AGI. Moreover, the internal representations that develop in some deep learning systems are structurally and functionally similar to representations in analogous regions of biological cortex. To paraphrase Feynman: to truly understand something you must build it. In this article I am going to quickly introduce the abstract concept of a universal learning machine, present an overview of the brain&apos;s architecture as a specific type of universal learning machine, and finally I will conclude with some speculations on the implications for the race to AGI and AI safety issues in particular. A universal learning machine is a simple and yet very powerful and general model for intelligent agents. It is an extension of a general computer - such as Turing Machine - amplified with a universal learning algorithm. Do not view this as my &apos;big new theory&apos; - it is simply an amalgamation of a set of related proposals by various researchers. An initial untrained seed ULM can be defined by 1.) a prior over the space of models (or equivalently, programs), 2.) an initial utility function, and 3.) the universal learning machinery/algorithm. The machine is a real-time system that processes an input sensory/observation stream and produces an output motor/action stream to control the external world using a learned internal program that is the result of continuous self-optimization. There is of course always room to smuggle in arbitrary innate functionality via the prior, but in general the prior is expected to be extremely small in bits in comparison to the learned model. The key defining characteristic of a ULM is that it uses its universal learning algorithm for continuous recursive self-improvement with regards to the utility function (reward system). We can view this as second (and higher) order optimization: the ULM optimizes the external world (first order), and also optimizes its own internal optimization process (second order), and so on. Without loss of generality, any system capable of computing a large number of decision variables can also compute internal self-modification decisions. Conceptually the learning machinery computes a probability distribution over program-space that is proportional to the expected utility distribution. At each timestep it receives a new sensory observation and expends some amount of computational energy to infer an updated (approximate) posterior distribution over its internal program-space: an approximate &apos;Bayesian&apos; self-improvement. The above description is intentionally vague in the right ways to cover the wide space of possible practical implementations and current uncertainty. You could view AIXI as a particular formalization of the above general principles, although it is also as dumb as a rock in any practical sense and has other potential theoretical problems. Although the general idea is simple enough to convey in the abstract, one should beware of concise formal descriptions: practical ULMs are too complex to reduce to a few lines of math. A ULM inherits the general property of a Turing Machine that it can compute anything that is computable, given appropriate resources. However a ULM is also more powerful than a TM. A Turing Machine can only do what it is programmed to do. A ULM automatically programs itself. If you were to open up an infant ULM - a machine with zero experience - you would mainly just see the small initial code for the learning machinery. The vast majority of the codestore starts out empty - initialized to noise. (In the brain the learning machinery is built in at the hardware level for maximal efficiency). Theoretical turing machines are all qualitatively alike, and are all qualitatively distinct from any non-universal machine. Likewise for ULMs. Theoretically a small ULM is just as general/expressive as a planet-sized ULM. In practice quantitative distinctions do matter, and can become effectively qualitative. Just as the simplest possible Turing Machine is in fact quite simple, the simplest possible Universal Learning Machine is also probably quite simple. A couple of recent proposals for simple universal learning machines include the Neural Turing Machine (from Google DeepMind), and Memory Networks. The core of both approaches involve training an RNN to learn how to control a memory store through gating operations. At this point you may be skeptical: how could the brain be anything like a universal learner? What about all of the known innate biases/errors in human cognition? I&apos;ll get to that soon, but let&apos;s start by thinking of a couple of general experiments to test the universal learning hypothesis vs the evolved modularity hypothesis. In a world where the ULH is mostly correct, what do we expect to be different than in worlds where the EMH is mostly correct? One type of evidence that would support the ULH is the demonstration of key structures in the brain along with associated wiring such that the brain can be shown to directly implement some version of a ULM architecture. Another type of indirect evidence that would help discriminate the two theories would be evidence that the brain is capable of general global optimization, and that complex domain specific algorithms/circuits mostly result from this process. If on the other hand the brain is only capable of constrained/local optimization, then most of the complexity must instead be innate - the result of global optimization in evolutionary deeptime. So in essence it boils down to the optimization capability of biological learning vs biological evolution. From the perspective of the EMH, it is not sufficient to demonstrate that there are things that brains can not learn in practice - because those simply could be quantitative limitations. Demonstrating that an intel 486 can&apos;t compute some known computable function in our lifetimes is not proof that the 486 is not a Turing Machine. The genome can only specify a limited amount of information. The question is then how much of our advanced cognitive machinery for things like facial recognition, motor planning, language, logic, planning, etc. is innate vs learned. From evolution&apos;s perspective there is a huge advantage to preloading the brain with innate algorithms so long as said algorithms have high expected utility across the expected domain landscape. On the other hand, evolution is also highly constrained in a bit coding sense: every extra bit of code costs additional energy for the vast number of cellular replication events across the lifetime of the organism. Low code complexity solutions also happen to be exponentially easier to find. These considerations seem to strongly favor the ULH but they are difficult to quantify. Neuroscientists have long known that the brain is divided into physical and functional modules. These modular subdivisions were discovered a century ago by Brodmann. Every time neuroscientists opened up a new brain, they saw the same old cortical modules in the same old places doing the same old things. The specific layout of course varied from species to species, but the variations between individuals are minuscule. This evidence seems to strongly favor the EMH. Throughout most of the 90&apos;s up into the 2000&apos;s, evidence from computational neuroscience models and AI were heavily influenced by - and unsurprisingly - largely supported the EMH. Neural nets and backprop were known of course since the 1980&apos;s and worked on small problems, but at the time they didn&apos;t scale well - and there was no theory to suggest they ever would. Theory of the time also suggested local minima would always be a problem (now we understand that local minima are not really the main problem, and modern stochastic gradient descent methods combined with highly overcomplete models and stochastic regularization are effectively global optimizers that can often handle obstacles such as local minima and saddle points). Many AI researchers are naturally interested in the brain, and we can see the influence of the EMH in much of the work before the deep learning era. HMAX is a hierarchical vision system developed in the late 90&apos;s by Poggio et al as a working model of biological vision. It is based on a preconfigured hierarchy of modules, each of which has its own mix of innate features such as gabor edge detectors along with a little bit of local learning. It implements the general idea that complex algorithms/features are innate - the result of evolutionary global optimization - while neural networks (incapable of global optimization) use hebbian local learning to fill in details of the design. In a groundbreaking study from 2000 published in Nature, Sharma et al successfully rewired ferret retinal pathways to project into the auditory cortex instead of the visual cortex. The result: auditory cortex can become visual cortex, just by receiving visual data! Not only does the rewired auditory cortex develop the specific gabor features characteristic of visual cortex; the rewired cortex also becomes functionally visual. True, it isn&apos;t quite as effective as normal visual cortex, but that could also possibly be an artifact of crude and invasive brain rewiring surgery. The ferret study was popularized by the book On Intelligence by Hawkins in 2004 as evidence for a single cortical learning algorithm. This helped percolate the evidence into the wider AI community, and thus probably helped in setting up the stage for the deep learning movement of today. The modern view of the cortex is that of a mostly uniform set of general purpose modules which slowly become recruited for specific tasks and filled with domain specific &apos;code&apos; as a result of the learning (self optimization) process. The next key set of evidence comes from studies of atypical human brains with novel extrasensory powers. In 2009 Vuillerme et al showed that the brain could automatically learn to process sensory feedback rendered onto the tongue. This research was developed into a complete device that allows blind people to develop primitive tongue based vision. In the modern era some blind humans have apparently acquired the ability to perform echolocation (sonar), similar to cetaceans. In 2011 Thaler et al used MRI and PET scans to show that human echolocators use diverse non-auditory brain regions to process echo clicks, predominantly relying on re-purposed &apos;visual&apos; cortex. The echolocation study in particular helps establish the case that the brain is actually doing global, highly nonlocal optimization - far beyond simple hebbian dynamics. Echolocation is an active sensing strategy that requires very low latency processing, involving complex timed coordination between a number of motor and sensory circuits - all of which must be learned. Somehow the brain is dynamically learning how to use and assemble cortical modules to implement mental algorithms: everyday tasks such as visual counting, comparisons of images or sounds, reading, etc - all are task which require simple mental programs that can shuffle processed data between modules (some or any of which can also function as short term memory buffers). To explain this data, we should be on the lookout for a system in the brain that can learn to control the cortex - a general system that dynamically routes data between different brain modules to solve domain specific tasks. But first let&apos;s take a step back and start with a high level architectural view of the entire brain to put everything in perspective. 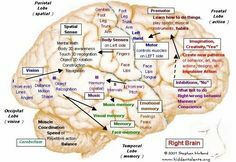 Below is a circuit diagram for the whole brain. Each of the main subsystems work together and are best understood together. You can probably get a good high level extremely coarse understanding of the entire brain is less than one hour. The human brain has ~100 billion neurons and ~100 trillion synapses, but ultimately it evolved from the bottom up - from organisms with just hundreds of neurons, like the tiny brain of C. Elegans. We know that evolution is code complexity constrained: much of the genome codes for cellular metabolism, all the other organs, and so on. For the brain, most of its bit budget needs to be spent on all the complex neuron, synapse, and even neurotransmitter level machinery - the low level hardware foundation. For a tiny brain with 1000 neurons or less, the genome can directly specify each connection. As you scale up to larger brains, evolution needs to create vastly more circuitry while still using only about the same amount of code/bits. So instead of specifying connectivity at the neuron layer, the genome codes connectivity at the module layer. Each module can be built from simple procedural/fractal expansion of progenitor cells. So the size of a module has little to nothing to do with its innate complexity. The cortical modules are huge - V1 alone contains 200 million neurons in a human - but there is no reason to suspect that V1 has greater initial code complexity than any other brain module. Big modules are built out of simple procedural tiling patterns. The neocortex: the brain&apos;s primary computational workhorse (blue/purple modules at the top of the diagram). Kind of like a bunch of general purpose FPGA coprocessors. The cerebellum: another set of coprocessors with a simpler feedforward architecture. Specializes more in motor functionality. The thalamus: the orangish modules below the cortex. Kind of like a relay/routing bus. The hippocampal complex: the apex of the cortex, and something like the brain&apos;s database. The amygdala and limbic reward system: these modules specialize in something like the value function. The Basal Ganglia (green modules): the central control system, similar to a CPU. In the interest of space/time I will focus primarily on the Basal Ganglia and will just touch on the other subsystems very briefly and provide some links to further reading. The neocortex has been studied extensively and is the main focus of several popular books on the brain. Each neocortical module is a 2D array of neurons (technically 2.5D with a depth of about a few dozen neurons arranged in about 5 to 6 layers). Cortical modules - like artifical RNNs - are general purpose and can be trained to perform various tasks. There are a huge number of models of the cortex, varying across the tradeoff between biological realism and practical functionality. Perhaps surprisingly, any of a wide variety of learning algorithms can reproduce cortical connectivity and features when trained on appropriate sensory data. This is a computational proof of the one-learning-algorithm hypothesis; furthermore it illustrates the general idea that data determines functional structure in any general learning system. There is evidence that cortical modules learn automatically (unsupervised) to some degree, and there is also some evidence that cortical modules can be trained to relearn data from other brain subsystems - namely the hippocampal complex. The dark knowledge distillation technique in ANNs is a potential natural analog/model of hippocampus -> cortex knowledge transfer. Module connections are bidirectional, and feedback connections (from high level modules to low level) outnumber forward connections. We can speculate that something like target propagation can also be used to guide or constrain the development of cortical maps (speculation). The hippocampal complex is the root or top level of the sensory/motor hierarchy. This short youtube video gives a good seven minute overview of the HC. It is like a spatiotemporal database. It receives compressed scene descriptor streams from the sensory cortices, it stores this information in medium-term memory, and it supports later auto-associative recall of these memories. Imagination and memory recall seem to be basically the same. The &apos;scene descriptors&apos; take the sensible form of things like 3D position and camera orientation, as encoded in place, grid, and head direction cells. This is basically the logical result of compressing the sensory stream, comparable to the networking data stream in a multiplayer video game. Imagination/recall is basically just the reverse of the forward sensory coding path - in reverse mode a compact scene descriptor is expanded into a full imagined scene. Imagined/remembered scenes activate the same cortical subnetworks that originally formed the memory (or would have if the memory was real, in the case of imagined recall). The amygdala and associated limbic reward modules are rather complex, but look something like the brain&apos;s version of the value function for reinforcement learning. These modules are interesting because they clearly rely on learning, but clearly the brain must specify an initial version of the value/utility function that has some minimal complexity. As an example, consider taste. Infants are born with basic taste detectors and a very simple initial value function for taste. Over time the brain receives feedback from digestion and various estimators of general mood/health, and it uses this to refine the initial taste value function. Eventually the adult sense of taste becomes considerably more complex. Acquired taste for bitter substances - such as coffee and beer - are good examples. The amygdala appears to do something similar for emotional learning. For example infants are born with a simple versions of a fear response, with is later refined through reinforcement learning. The amygdala sits on the end of the hippocampus, and it is also involved heavily in memory processing. 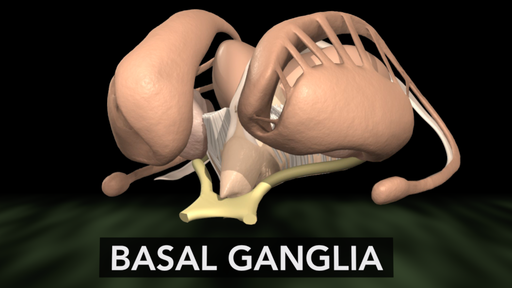 The Basal Ganglia is a wierd looking complex of structures located in the center of the brain. It is a conserved structure found in all vertebrates, which suggests a core functionality. The BG is proximal to and connects heavily with the midbrain reward/limbic systems. It also connects to the brain&apos;s various modules in the cortex/hippocampus, thalamus and the cerebellum . . . basically everything. All of these connections form recurrent loops between associated compartmental modules in each structure: thalamocortical/hippocampal-cerebellar-basal_ganglial loops. Just as the cortex and hippocampus are subdivided into modules, there are corresponding modular compartments in the thalamus, basal ganglia, and the cerebellum. The set of modules/compartments in each main structure are all highly interconnected with their correspondents across structures, leading to the concept of distributed processing modules. Each DPM forms a recurrent loop across brain structures (the local networks in the cortex, BG, and thalamus are also locally recurrent, whereas those in the cerebellum are not). These recurrent loops are mostly separate, but each sub-structure also provides different opportunities for inter-loop connections. The BG appears to be involved in essentially all higher cognitive functions. Its core functionality is action selection via subnetwork switching. In essence action selection is the core problem of intelligence, and it is also general enough to function as the building block of all higher functionality. A system that can select between motor actions can also select between tasks or subgoals. More generally, low level action selection can easily form the basis of a Turing Machine via selective routing: deciding where to route the output of thalamocortical-cerebellar modules (some of which may specialize in short term memory as in the prefrontal cortex, although all cortical modules have some short term memory capability). There are now a number of computational models for the Basal Ganglia-Cortical system that demonstrate possible biologically plausible implementations of the general theory; integration with the hippocampal complex leads to larger-scale systems which aim to model/explain most of higher cognition in terms of sequential mental programs (of course fully testing any such models awaits sufficient computational power to run very large-scale neural nets). For an extremely oversimplified model of the BG as a dynamic router, consider an array of N distributed modules controlled by the BG system. The BG control network expands these N inputs into an NxN matrix. There are N2 potential intermodular connections, each of which can be individually controlled. The control layer reads a compressed, downsampled version of the module&apos;s hidden units as its main input, and is also recurrent. Each output node in the BG has a multiplicative gating effect which selectively enables/disables an individual intermodular connection. If the control layer is naively fully connected, this would require (N2)2 connections, which is only feasible for N ~ 100 modules, but sparse connectivity can substantially reduce those numbers. It is unclear (to me), whether the BG actually implements NxN style routing as described above, or something more like 1xN or Nx1 routing, but there is general agreement that it implements cortical routing. Of course in actuality the BG architecture is considerably more complex, as it also must implement reinforcement learning, and the intermodular connectivity map itself is also probably quite sparse/compressed (the BG may not control all of cortex, certainly not at a uniform resolution, and many controlled modules may have a very limited number of allowed routing decisions). Nonetheless, the simple multiplicative gating model illustrates the core idea. This same multiplicative gating mechanism is the core principle behind the highly successful LSTM (Long Short-Term Memory) units that are used in various deep learning systems. The simple version of the BG&apos;s gating mechanism can be considered a wider parallel and hierarchical extension of the basic LSTM architecture, where you have a parallel array of N memory cells instead of 1, and each memory cell is a large vector instead of a single scalar value. The main advantage of the BG architecture is parallel hierarchical approximate control: it allows a large number of hierarchical control loops to update and influence each other in parallel. It also reduces the huge complexity of general routing across the full cortex down into a much smaller-scale, more manageable routing challenge. These two conceptions of the brain - the universal learning machine hypothesis and the evolved modularity hypothesis - lead to very different predictions for the likely route to AGI, the expected differences between AGI and humans, and thus any consequent safety issues and strategies. In the extreme case imagine that the brain is a pure ULM, such that the genetic prior information is close to zero or is simply unimportant. In this case it is vastly more likely that successful AGI will be built around designs very similar to the brain, as the ULM architecture in general is the natural ideal, vs the alternative of having to hand engineer all of the AI&apos;s various cognitive mechanisms. In reality learning is computationally hard, and any practical general learning system depends on good priors to constrain the learning process (essentially taking advantage of previous knowledge/learning). The recent and rapid success of deep learning is strong evidence for how much prior information is ideal: just a little. The prior in deep learning systems takes the form of a compact, small set of hyperparameters that control the learning process and specify the overall network architecture (an extremely compressed prior over the network topology and thus the program space). The ULH suggests that most everything that defines the human mind is cognitive software rather than hardware: the adult mind (in terms of algorithmic information) is 99.999% a cultural/memetic construct. Obviously there are some important exceptions: infants are born with some functional but very primitive sensory and motor processing &apos;code&apos;. Most of the genome&apos;s complexity is used to specify the learning machinery, and the associated reward circuitry. Infant emotions appear to simplify down to a single axis of happy/sad; differentiation into the more subtle vector space of adult emotions does not occur until later in development. If the mind is software, and if the brain&apos;s learning architecture is already universal, then AGI could - by default - end up with a similar distribution over mindspace, simply because it will be built out of similar general purpose learning algorithms running over the same general dataset. We already see evidence for this trend in the high functional similarity between the features learned by some machine learning systems and those found in the cortex. Of course an AGI will have little need for some specific evolutionary features: emotions that are subconsciously broadcast via the facial muscles is a quirk unnecessary for an AGI - but that is a rather specific detail. The key takeway is that the data is what matters - and in the end it is all that matters. Train a universal learner on image data and it just becomes a visual system. Train it on speech data and it becomes a speech recognizer. Train it on ATARI and it becomes a little gamer agent. Train a universal learner on the real world in something like a human body and you get something like the human mind. Put a ULM in a dolphin&apos;s body and echolocation is the natural primary sense, put a ULM in a human body with broken visual wiring and you can also get echolocation. Control over training is the most natural and straightforward way to control the outcome. To create a superhuman AI driver, you &apos;just&apos; need to create a realistic VR driving sim and then train a ULM in that world (better training and the simple power of selective copying leads to superhuman driving capability). So to create benevolent AGI, we should think about how to create virtual worlds with the right structure, how to educate minds in those worlds, and how to safely evaluate the results. One key idea - which I proposed five years ago is that the AI should not know it is in a sim. New AI designs (world design + architectural priors + training/education system) should be tested first in the safest virtual worlds: which in simplification are simply low tech worlds without computer technology. Design combinations that work well in safe low-tech sandboxes are promoted to less safe high-tech VR worlds, and then finally the real world. A key principle of a secure code sandbox is that the code you are testing should not be aware that it is in a sandbox. If you violate this principle then you have already failed. Yudkowsky&apos;s AI box thought experiment assumes the violation of the sandbox security principle apriori and thus is something of a distraction. (the virtual sandbox idea was most likely discussed elsewhere previously, as Yudkowsky indirectly critiques a strawman version of the idea via this sci-fi story). The virtual sandbox approach also combines nicely with invisible thought monitors, where the AI&apos;s thoughts are automatically dumped to searchable logs. Of course we will still need a solution to the value learning problem. The natural route with brain-inspired AI is to learn the key ideas behind value acquisition in humans to help derive an improved version of something like inverse reinforcement learning and or imitation learning - an interesting topic for another day. Ray Kurzweil has been predicting for decades that AGI will be built by reverse engineering the brain, and this particular prediction is not especially unique - this has been a popular position for quite a while. My own investigation of neuroscience and machine learning led me to a similar conclusion some time ago. Future superintelligences will exist, but their vast and broad mental capacities will come mainly from vast mental content and computational resources. By comparison, their general architectural innovations will be minor additions. The ULH supports this conclusion. Current ANN engines can already train and run models with around 10 million neurons and 10 billion (compressed/shared) synapses on a single GPU, which suggests that the goal could soon be within the reach of a large organization. Furthermore, Moore&apos;s Law for GPUs still has some steam left, and software advances are currently improving simulation performance at a faster rate than hardware. 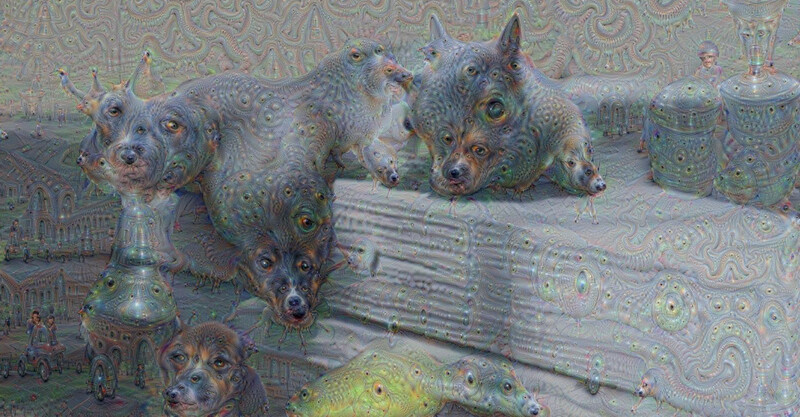 These trends implies that Anthropomorphic/Neuromorphic AGI could be surprisingly close, and may appear suddenly. What kind of leverage can we exert on a short timescale?